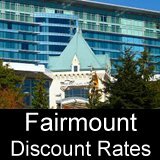 Get the Best Flight & Price for Air Travel to Vancouver. If you’re wondering how to get to Vancouver by air, you’ll like this comprehensive look at flying to Vancouver from major airports all over the world. We include major Canadian airlines like Air Canada and Westjet. Also, low-fare US airlines with flights to YVR, including Alaska Airlines, Frontier and US Airways. And international carriers such as United, American, Qantas and British Airways. As you can imagine, there are many different airlines with flights to Vancouver International Airport (3 letter code: YVR). So keep checking back, as we are quickly expanding this section to include many different air routes to YVR. 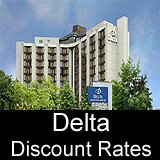 Starting below, we report on the cheapest air travel to Vancouver, and the best online booking sites for reservations. Plus, little extras like what you'll see on your flight here to the West Coast. Have a good trip! Flying to Vancouver and want to save money and still fly in style then check out our WestJet Seat sales page today. This flight takes 4 hours and 30 minutes, while flying to Vancouver you have the opportunity to see the prairies and the beautiful Rockie Mountains. This is a quick flight that takes only an hour and a half, enjoy seeing the Rockies Mountains and coming to the West Coast. Edmonton can be cold in the winter so many travelers take the 1 hour and 30 minute flight to Vancouver to get away from the Cold Winters of Edmonton and see the warm but rainy winters of Vancouver. This is one of the longest flights in Canada to get to Vancouver 5 hours and 30 minutes. Travelers from Montreal will enjoy all the Beauty of Ontario and the Prairies. This is the shortest flight in Canada to Vancouver just under 30 minutes not much time to do anything but sit back and wait to land. 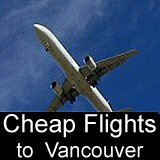 Air travel to Vancouver from Kelowna is 50 minutes the cost for this flight is fairly low and worth taking especially in the winter time. Leaving the Big Apple for the Beautiful BC takes a long time, the flight time is 5 hours and 55 minutes, bring lots to read and charge up your kids batteries for their games as this is a very long flight. There are many daily flights from Los Angeles to Vancouver giving you many options when to leave on this 2 hours and 50 minute flight to Vancouver. To get to Vancouver from Chicago you will need to take a connecting flight, if you fly with United Airlines they have a direct non-stop flight to Vancouver saving you time. Air travel to Vancouver from Sydney is 15 hours long so get comfortable it's going to be a long flight, Air Canada has the fastest way to get to Vancouver with its non-stop flights. If you are travelling from the USA, Aisa, Europe or inside Canada and are looking for the fastest flights to Vancouver, here is a quick overview of available non-stop direct flights to Vancouver Canada.